In the first tranche of redundancies, Air Berlin’s entire ground staff may be out of a job within weeks. Talks with Lufthansa and easyJet over the insolvent airline's assets are ongoing. Employees needed to maintain flight operations are expected be given notice by the end of February 2018, according to company information handed out to staff and seen by the news agency Reuters on Friday. The airline said it had extended the bid deadline for its maintenance division to allow potential buyers to adapt their offers depending on the outcome of talks for its other assets. According to a spokesman, interested parties could submit their offers by October 22. Air Berlin is in talks with Lufthansa and easyJet on carving up its various assets: aircraft, take-off and landing slots and crew. The talks had been due to run until October 12. British Airways' parent company IAG also bid for part of Air Berlin. The low cost carrier which has around 8,000 employees, filed for insolvency in August after major shareholder Etihad said it would stop providing funding. According to union documents made public on Friday, 1,400 employees are threatened with dismissal with the entire ground staff due to get their termination notices by the end of October. The dismissals also affect administrative staff. Other employees were expected to be released from their duties, although no specific details were given. 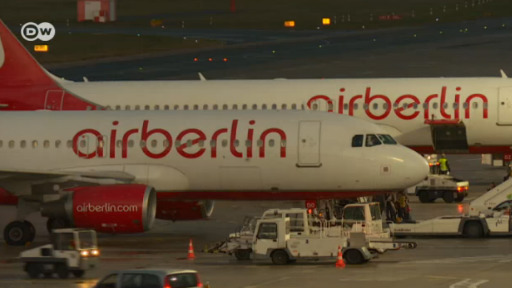 Air Berlin had been granted a €150 million ($180 million) rescue loan by the German government. Air Berlin declined to comment on the report. Air Berlin's filing for insolvency after Etihad withdrew its financial support has created an uncertain future. Staff and clients, including Berlin's new BER airport, face an anxious few months. Air Berlin's former hangar at Munich Airport will soon host a deportation center, according to a Spiegel report. Bavaria's government is ramping up its push for deportation ahead of a state election.